Meet Daryl Detrick, a computer science (CS) teacher at Warren Hills High School in Washington, NJ. He’ll tell you that he doesn’t just teach “coding”—he helps students understand how to approach complex problems that will improve the world around them. He started teaching computer science in 2008, at a time where there were very few resources available to help support him. Many CS teachers lack the resources to become skilled and confident in their roles. So today we're announcing new support for teachers like Mr. Detrick, starting with an additional $2 million in grants to support nonprofit organizations that provide support for teachers throughout their educational careers. Our goal to help increase access to CS skills by empowering more skilled and confident CS teachers globally. Mr. Detrick’s first CS professional development experience was through CS4HS, a Google program that funds educators with localized computer science professional development. Through these grants in 2017-2018, 79 organizations in Australia, New Zealand, U.S., Canada, China, Europe, the Middle East and Africa will receive funding to create pathways and content to foster local communities of educators. 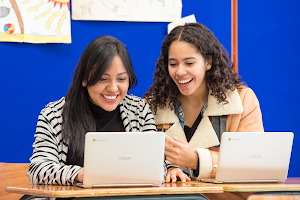 CS4HS focuses on teachers to increase the availability of quality computer science education, while many of Google’s other CS education programs, like Made with Code, focus on students. Over the past 10 years, CS4HS has contributed $10 million to professional development (PD) providers around the world to help train and empower teachers—like Western Wyoming Community College, which helped rural teachers integrate gaming into their CS classes, or Australian Catholic University, which trained 1,600 pre-service teachers in accordance with Australia’s Digital Technology curriculum, among others. Given the shortage of qualified teachers, it’s important not only to help the educators currently in the field, but also to inspire more teachers to join them. That’s why we’re also supporting pre-service teacher preparation programs developing new coursework that trains aspiring educators at the College of St. Scholastica, the University of California at Irvine, the University of Texas at Austin, and Huston-Tillotson University. We’re excited to work with these universities to help them share their resources with other higher education programs, equipping the next generation of educators with the knowledge and skills to teach CS and computational thinking (CT). Although we’ve seen a small increase of computer science teachers in recent years within the U.S.—6 percent since 2008—the subject is still largely regarded as an extracurricular activity, and one of the key barriers is a lack of qualified teachers. But research suggests that building training and local pathways are two key ways to retain and grow excellent educators. Today’s grants will help universities and nonprofits reach educators with PD opportunities that enhance their CS and technical skills development, improve their confidence in the classroom, and provide leadership training so that they can be advocates for CS education in their communities. With the help of his principal and faculty partners at Carnegie Mellon, Rutgers and Kean University, Mr. Detrick has grown his school’s CS program from 53 students to more than 200. He’s also a lead educator advocate for the CSTA New Jersey chapter, and works with the CSNJ advocacy group to influence State legislation that would require all high schools to offer computer science. 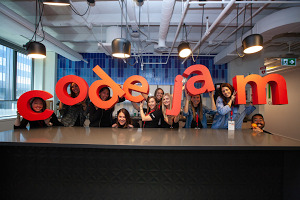 We’re excited to support new and future CS educators around the world. Even though computer science is a relatively new discipline for most schools, the enthusiasm is growing—and educators like Mr. Detrick are helping to pave the way for students to learn skills they’ll need for the future. To explore more information about communities of CS teachers near you, explore our computer science education resources and partners.